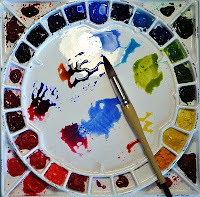 If you are in the Colorado Springs area and interested in taking a watercolor class, I have set up new classes for January to February. These classes range from beginner to intermediate/advanced. Please see the link to my website for class information. Watercolor Classes with Lorraine Watry.